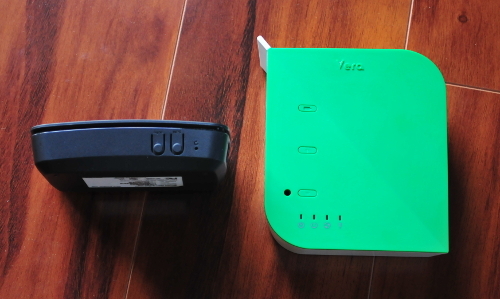 The VeraEdge Home Controller is a new device that was created to replace both the Vera 3 and the Vera lite by Vera formerly known as Mi Casa Verde. They have been in the business for quite some time and have a well established community and forum base. 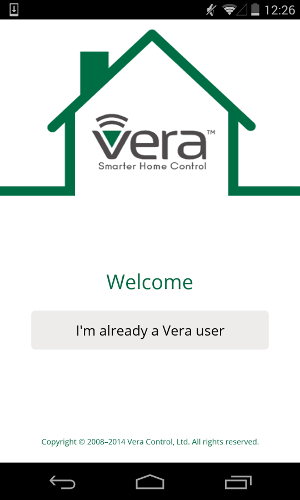 We find the Vera controller to offer a fairly affordable device that will allow control of devices like door locks, sensors, thermostats, dimmers, etc. 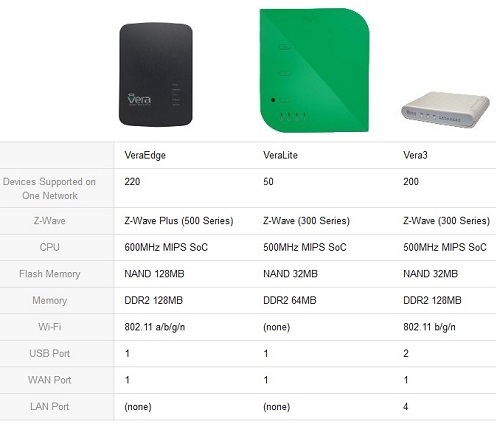 The VeraEdge is capable of talking the z-wave plus as well as wifi protocols. 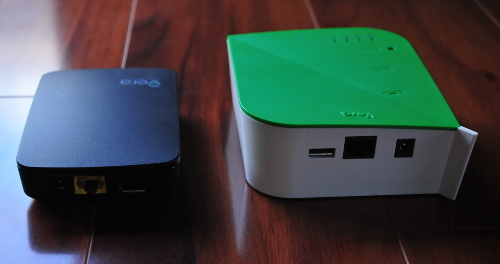 The Vera Edge is an open system that allows you the owner / user to take it over and do as you will, it is the main thing that sets this device apart from all the others such as smarthings and the former revolv hub. 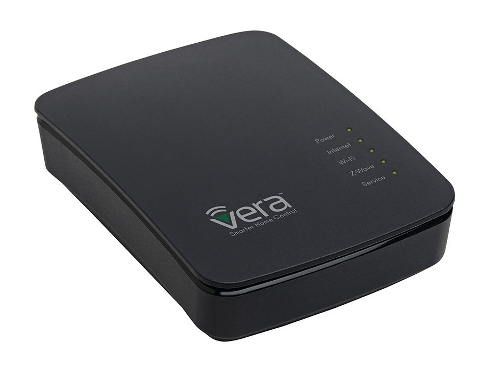 With the Vera Edge you will not need to replace any of your home wiring to make it talk to your devices. It will use your existing wiring and all communication is done wireless. 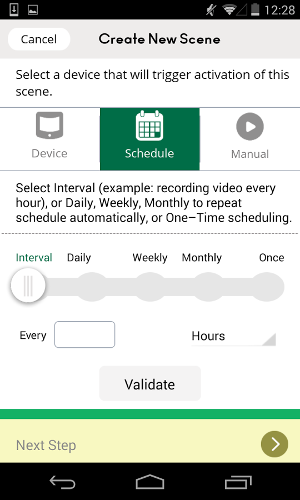 Just like all its competitors it features apps for iPhone and Android devices alike. The user interface is simple to use and is easy to navigate. 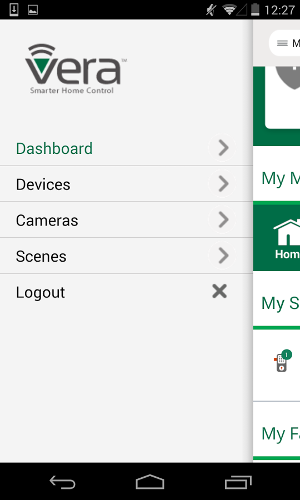 Here are some screen shots of the Android app, the apple iOS version is very similar. We recently reviewed the VeraLight and were excited when we heard of its replacement so we quickly placed an order. 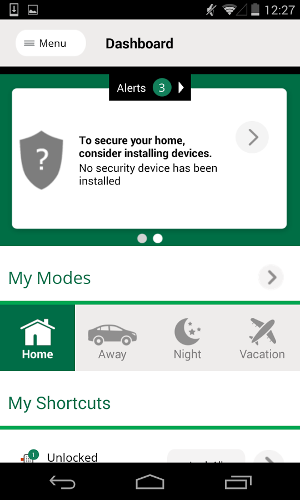 After receiving our VeraEdge Home Controller we plugged it in to our network and started setting it up. Just like the Vera Light, it did not include any instructions but instead pointed you to the website to set up the device. The initial set up was fairly easy however we could see how someone with no knowledge could get stuck in a few steps (when pairing devices such as switches and door locks). A few You Tube searches could fix this but we don't feel you should need to do that. Our experience has not been so good with the plug-ins but the issue based on forums seems to be that the new UI7 user interface is new and still needs some work. Most of the plug-ins we tried have been written for the older UI. An example of a plugin that we used and loved is the weather underground plugin. The plugin allows you to get weather information into your vera that you can use to trigger scenes. For example, if it is over 85 degrees outside turn on sprinkler pump so your dog can have some water to refresh. Here are some images of the different physical features of the veraedge vs veralite. 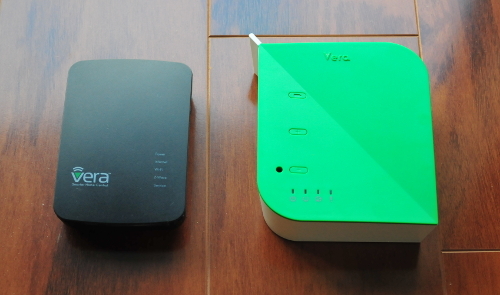 One of the most popular features that set the Vera systems apart is its plug-ins that allow it to talk with devices such as thermostats like the nest via plug-ins. It is also capable of talking with DSC alarm controllers via an envisalink module that is to be attached to the alarm and a plug-in on the Vera side. This and many more plug-ins are available and if you are the techy type you can create your very own plugins using Lua and luup code. The possibilities really are endless with this device. We wouldn't necessarily call this little guy a router but if plugged in to a cable modem for instance it is capable of dishing out DHCP addresses. You will not be able to reserve IP addresses or set up any port forwarding so if you need this functionality get yourself a real router. When we received the unit there were a few bugs like the USB port was unusable for logging if you are developing and the IP couldn't be set statically but Vera has sent an update recently that fixed those issues. There seems to be a somewhat decent support system. We have had the unit for about three weeks now and it works great. No hiccups so far except fro the plug-ins but thatï¿½s not really Vera's issue since they didn't write the plug-ins. All in all we really like the flexibility the device allows. We enjoy the open framework and love the fact that you donï¿½t need to connect to external devices to control your equipment at home even if your internet is out.. In the case of smarthings or revolv, if you loose your Internet for whatever reason, you cant control your devices even if you are home and your wireless router is working properly. - information stays on the hub. 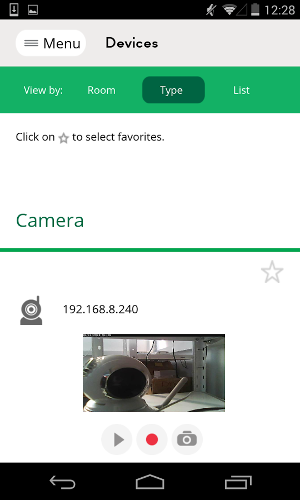 - No internet required to control from within your wifi network. - Plugins allow it to work with many other types of devices such as those that have wifi html interface. DSC Alarm Panel with the EYEZ-ON EVL-3 and Nest thermostat are two of the more popular plugins. 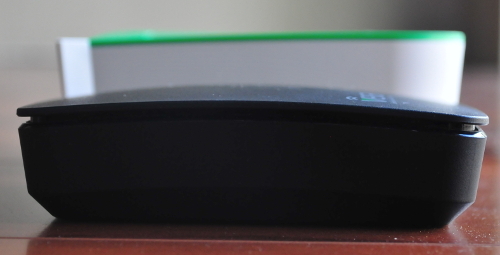 Get your very own VeraEdge Home Controller on Amazon.